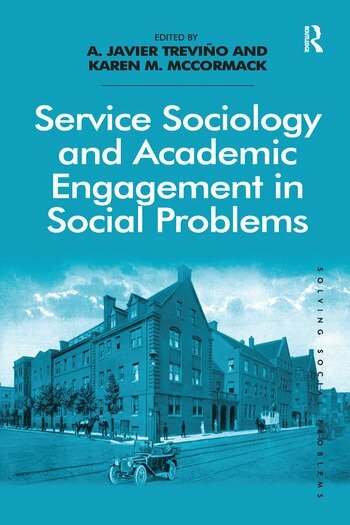 This book challenges sociologists and sociology students to think beyond the construction of social problems to tackle a central question: What do sociologists do with the analytic tools and academic skills afforded by their discipline to respond to social problems? Service Sociology posits that a central role of sociology is not simply to analyse and interpret social problems, but to act in the world in an informed manner to ameliorate suffering and address the structural causes of these problems. This volume provides a unique contribution to this approach to sociology, exploring the intersection between its role as an academic discipline and its practice in the service of communities and people. With both contemporary and historical analyses, the book traces the legacy, characteristics, contours, and goals of the sociology of service, shedding light on its roots in early American sociology and its deep connections to activism, before examining the social context that underlies the call for volunteerism, community involvement and non-profit organisations, as well as the strategies that have promise in remedying contemporary social problems. Presenting examples of concrete social problems from around the world, including issues of democratic participation, poverty and unemployment, student involvement in microlending, disaster miitigation, the organization and leadership of social movements, homelessness, activism around HIV/AIDS and service spring breaks, Service Sociology and Academic Engagement in Social Problems explores the utility of public teaching, participatory action research, and service learning in the classroom as a contribution to the community. A. Javier TreviÃ±o is Jane Oxford Keiter Professor of Sociology at Wheaton College, USA. He is the author of The Social Thought of C. Wright Mills, The Sociology of Law: Classical and Contemporary Perspectives and The Sociology of Law: A Bibliography of Theoretical Literature. He is the editor of Talcott Parsons on Law and the Legal System, Classic Writings in Law and Society, Talcott Parsons Today: His Theory and Legacy in Contemporary Sociology and Goffman’s Legacy, and co-editor of Understanding Crime: A Multidisciplinary Approach. Karen M. McCormack is Assistant Professor of Sociology at Wheaton College, USA. Her recent publications include ’Understanding Foreclosure Risk: The Role of Nativity and Gender’, with Iyar Mazar (Critical Sociology 2013) and ’Comfort and Burden: The Changing Meaning of Home for Owners At-Risk of Foreclosure’ (Symbolic Interaction 2012).